All of our services are available to you in machinegun configuration (NFA-BATF) or semi-auto for those of you that want a unique piece in your collection. COMING SOON! 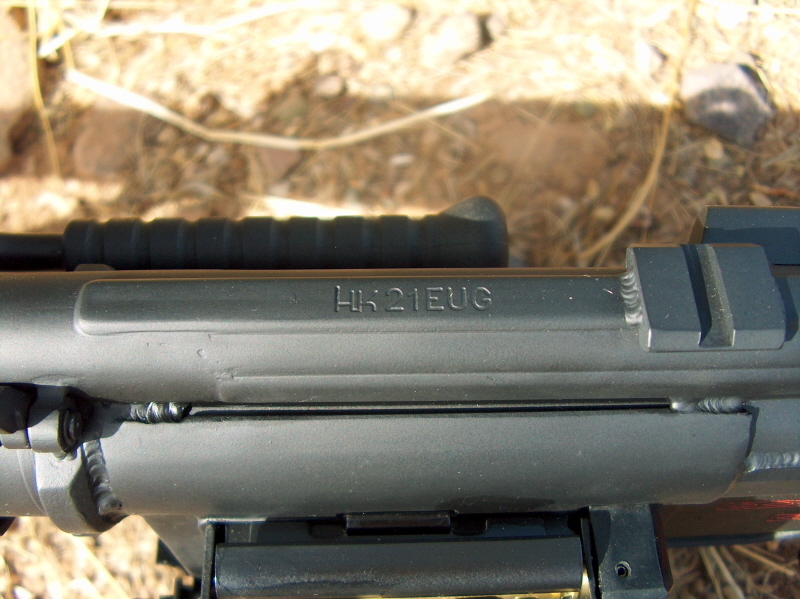 WHAT IS THE DIFFERENCE BETWEEN A HK21/21EUG AND A HK21E? Both are GREAT systems but have major differences. Due to the many calls we receive on what the cost of a HK21E is, when what is actually being asked about is the HK21(60's era) that is out there being sold and marked as a "21E". We trademarked our Upgraded 21 as "21EUG" and are very clear to our clients that it is an upgraded 60's era 21and would never call it an "E". We have built and sold both over the years. If your looking for a "21E" and it doesn't have a "E" swing down feed mechanism it is not even close. But we have been spending so much time on the phone educating potential clients that we felt if its explained on our site a educated decisions can be made on either system. 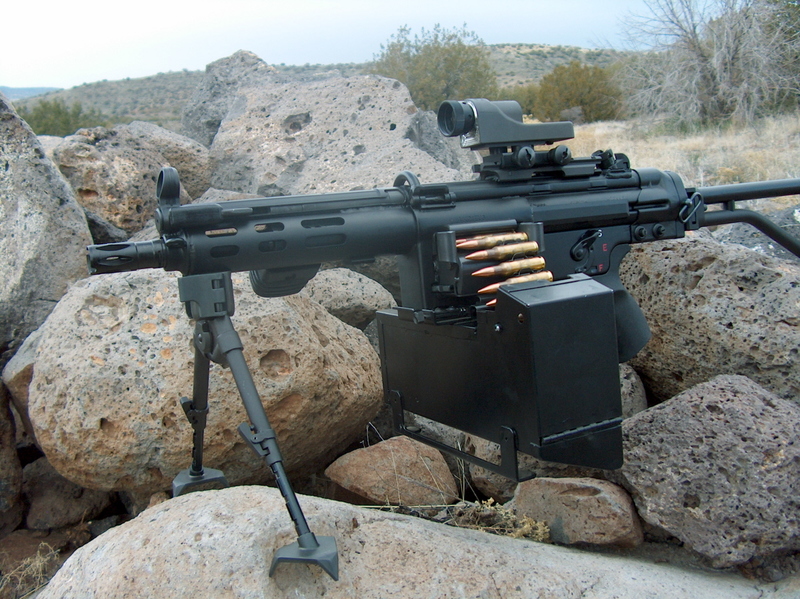 We do have a limited number of "21E" UBF's available, with HK German "E" swing down feed mechs and bolt carriers. These can be converted to .223 with the proper swing down feed mech, bolt head, locking piece and barrel in a matter of minutes! To all our clients that have been patient on the backlog of "21EUG" and "21UBF" builds we appreciate you. Almost up to date and working on decent time frames. Click here and step into the world of 308 Belt Feds. 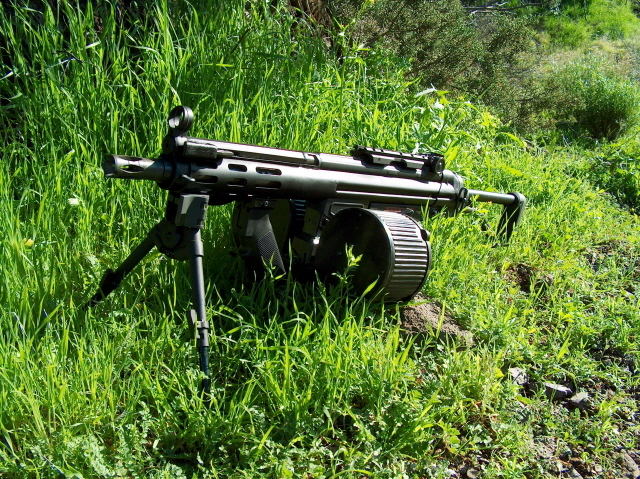 RDTS has pioneered some of the most sophisticated Belt Fed HK's you'll ever see. This is the one that everybody wants! 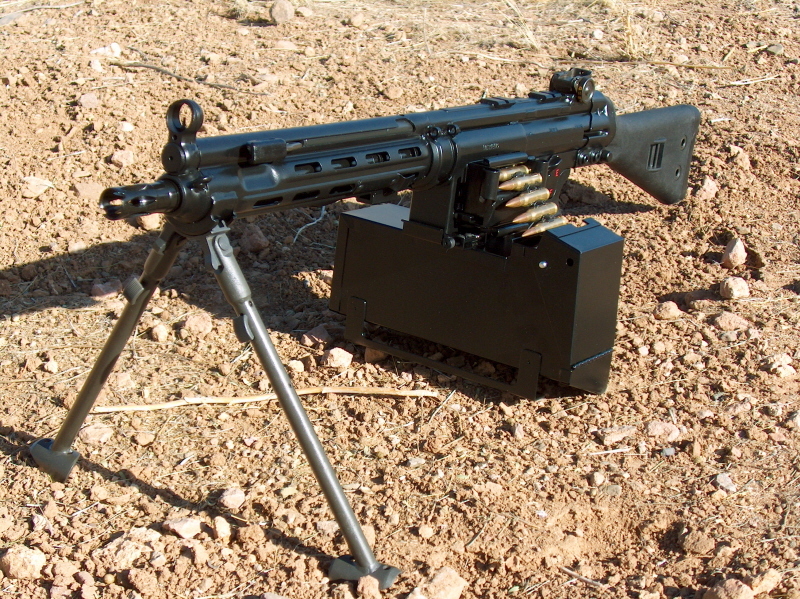 Imagine a Belt Fed that can be configured as a Pistol with a 9" barrel. 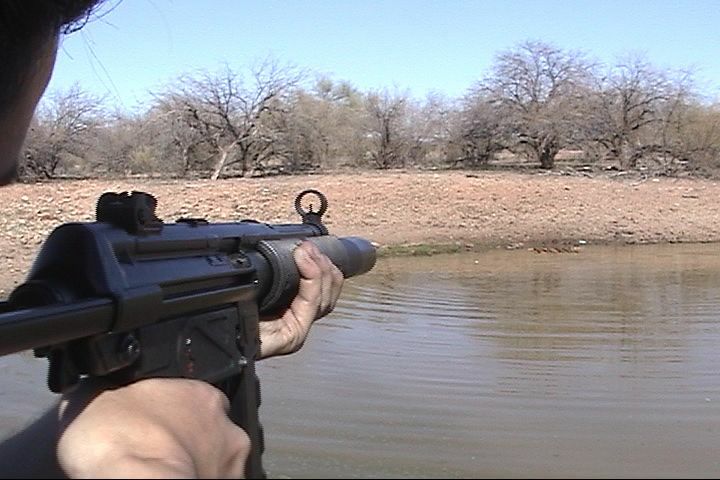 Then in 5 minutes be taking out targets at 1000 yards with deadly accuracy. Basically the most compact belted on the planet! This weapon sports a quick change 9" barrel and cut down shroud. We can also set it up with a 14.5" barrel and permanent brake for a 16" length for the semi auto folks who are saving for that sear. We will paper as a Short barrel rifle at no extra charge if you'd like. Note: HK21K-UBF is our model designation referring to our HK MP5/HK51 sized belt fed with a short shroud with Quick Change Barrel. Basically a really, really short 21 that runs!!!!! On our receiver or yours. Available as a Pistol, Rifle, SBR or AOW. We have a variety of factory/custom services to upgrade your .308 into a unique addition to your collection. 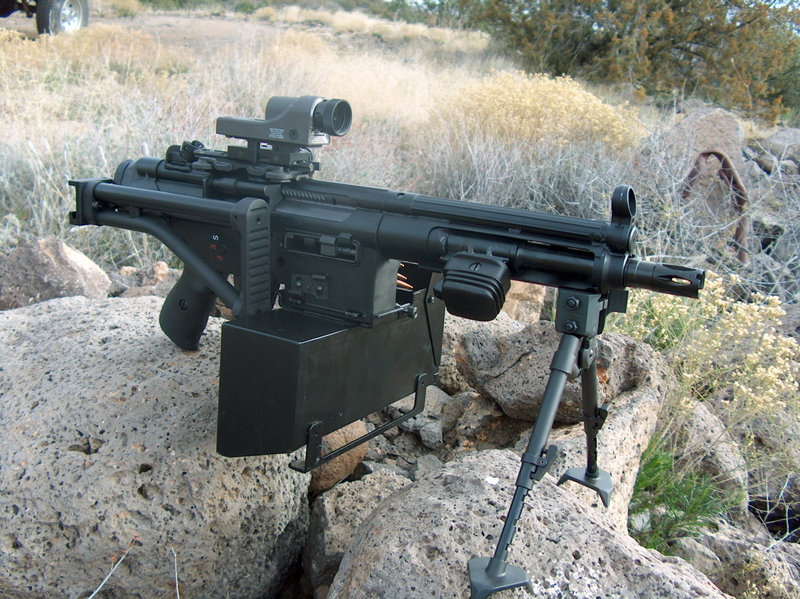 Can be built on HK91,SR9,SAR8, Clones, G3 Dealer Samples or Conversions. 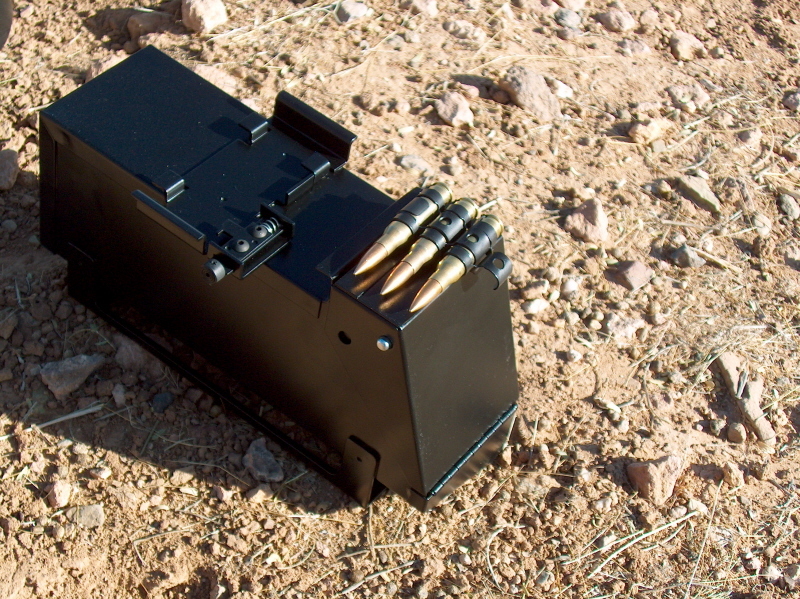 Here we can turn your 308 into an 8.3" super compact and controllable fire belcher! Make it even more compact and try one of our strong lightweight aluminum side folders. This little goodie can be set up to fold right or left and has adjustable comb, your choice! Available as a Pistol, Rifle, SBR or AOW. This 5" barreled fire breather is the 308 version of the MP5K. I have to thank Eric and Jeff for their blazing the trail on putting together one that actually runs! Quite an achievement! Thanks Eric for letting us dissect yours and seeing what makes this Monster tick! Available as a Pistol, SBR or AOW. This is HK Germany's shortest production 308! If a HK Factory perfect G3K with a 12" barrel is what you want this one won't disappoint! Available as a Rifle or SBR. 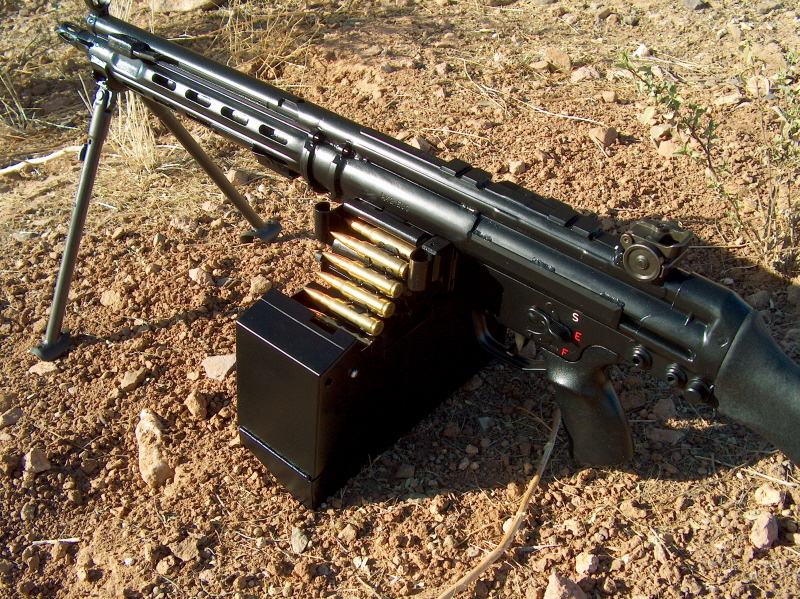 In production since the 60's this is considered the worlds best 9mm Submachine gun! Let us bring yours to the factory perfect spec it deserves. Check it out. We challenge anyone to find a better MP5SD anywhere not only at our reasonable price, but ANY PRICE, Dealer sample original or conversion MP5SD!! 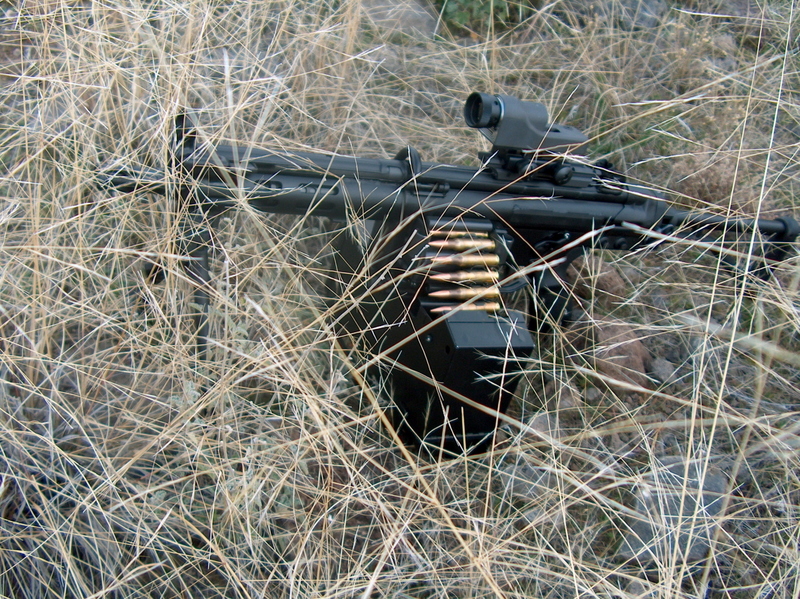 The Ultra Compact 9mm Sub Machinegun! Let us do the works! How about a HK Contract Hammer Forged Barrel, Mag Flap, Factory Perfect Markings in "MP5K" or "MP5K-N" and don't forget the Exact HK Black Finish in our Tri-Coat Finish System!